John McLendon NAIA victory celebration. In decades of coaching basketball — at the high school, college, pro and international levels, including championship wins — John McLendon never got a technical foul. The approximately 5-foot-6-inch African-American gentleman known to some as “Little Coach” was softspoken, deeply humble and never cursed, his biographer Milton S. Katz said. But that demeanor belied a grit that drove McLendon to be one of the most groundbreaking coaches in basketball history. A new documentary film created by University of Kansas alumni and directed by KU film and media studies professor Kevin Willmott highlights the little-known coach who’s also credited with introducing now-ubiquitous basketball plays. “Fast Break: The Legendary John McLendon” is set to air at 8:30 p.m. March 13, 16 and 18 on PBS television station KCPT in Kansas City, Mo. McLendon died in 1999 at age 84. John McLendon at home with honors. The first person to be enshrined in the Naismith Memorial Basketball Hall of Fame as both coach and contributor, McLendon was first added as a contributor in 1979 and then as a coach in 2016. 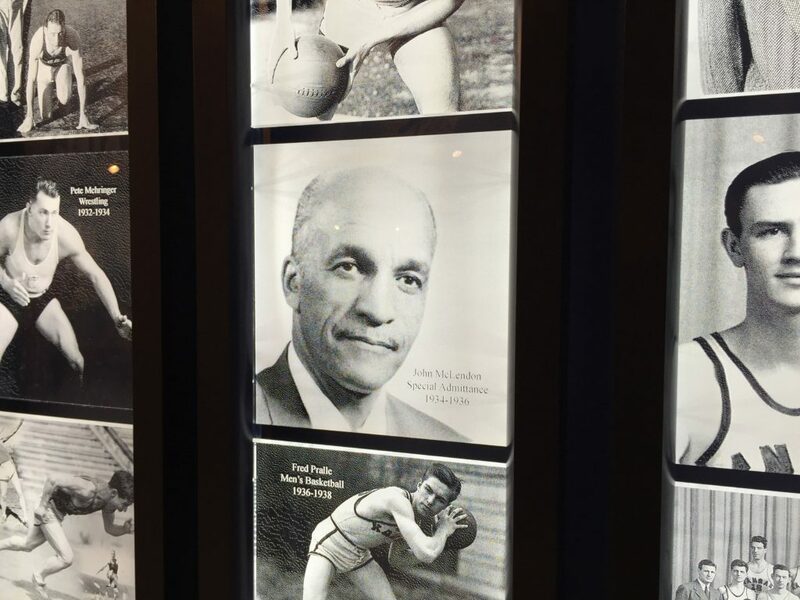 McLendon is also a member of the Athletics Hall of Fame at KU, where his documented barrier-breaking began as a student of none other than James Naismith himself. Katz, a professor of humanities at the Kansas City Art Institute and a basketball fan, met McLendon in the 1970s and published his biography “Breaking Through: John B. McLendon, Basketball Legend and Civil Rights Pioneer,” in 2007. Katz said he’s often asked whether McLendon was aware of what he was doing for the big picture of equality. McLendon was in elementary school when he saw his first indoor gym at a Kansas City junior high school, Katz said. The physical education program leader was in the gym shooting baskets. “He went home — everyone confirmed this is true — and he said, ‘I’m going to be a basketball coach. I’m going to be a PE teacher and coach basketball,'” Katz said. 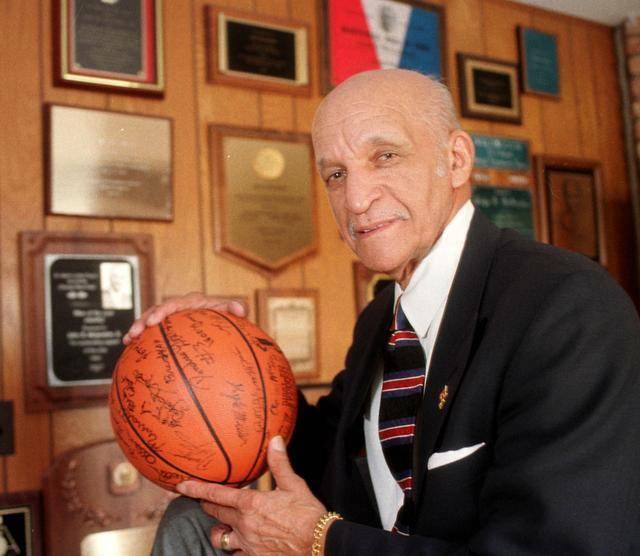 A top student at Sumner High School, McLendon wanted to go to Springfield College in Massachusetts, because he’d learned that’s where James Naismith invented basketball, Katz said. But McLendon’s family, which Katz described as lower middle class at best, didn’t have the money. 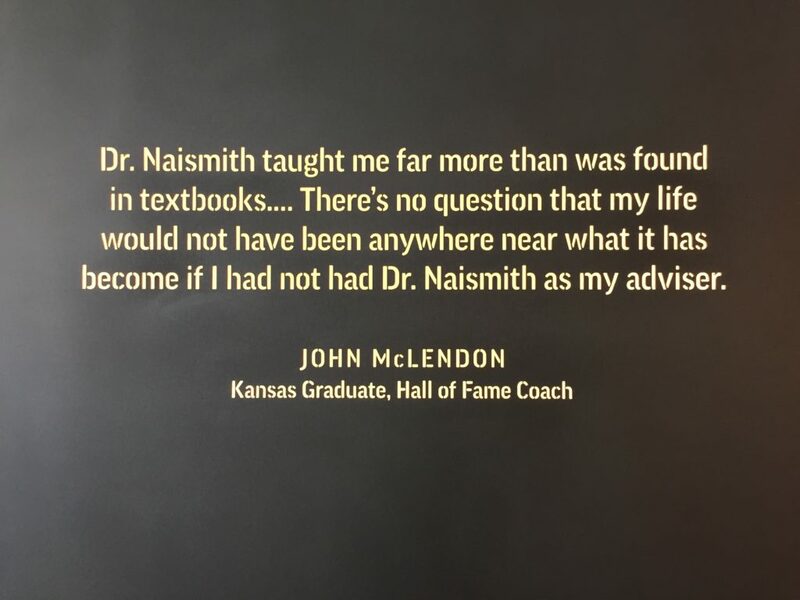 McLendon’s father found out that Naismith, then in his 70s, was still working full time as a professor at KU. He told his son that instead of sending him away to the place basketball was invented, he was going to send him straight to the inventor. McLendon’s father instructed his son to go to Naismith’s office, introduce himself and tell him that he was going to be his advisor. When Naismith asked McLendon who told him that, McLendon said his father had told him. 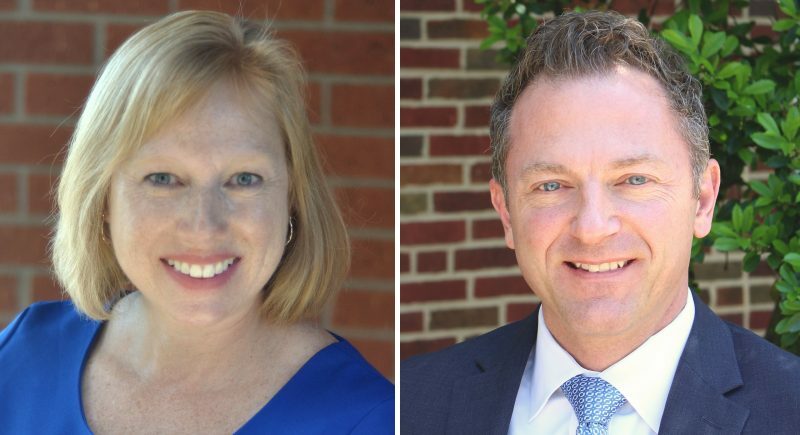 Naismith became not only a teacher and advisor to McLendon, but a true mentor, Katz said. “Naismith saw something in him that was special,” Katz said. While at KU, McLendon was not allowed to participate in varsity athletics because he was black. 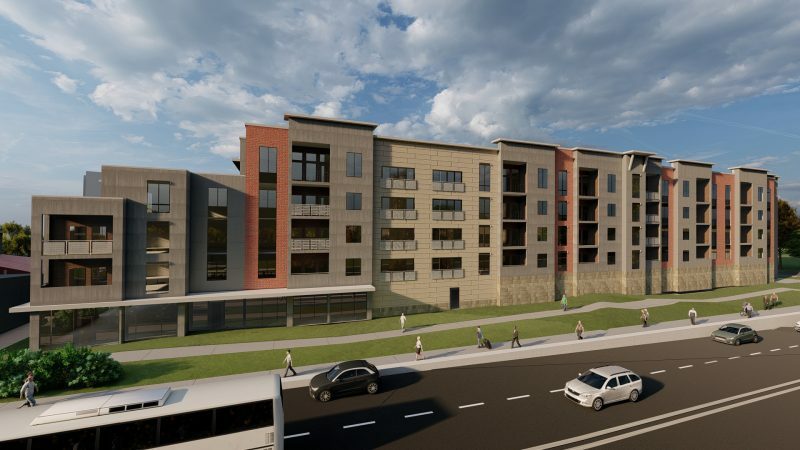 But he is credited with integrating the KU swimming pool and student government at the time, Katz said. 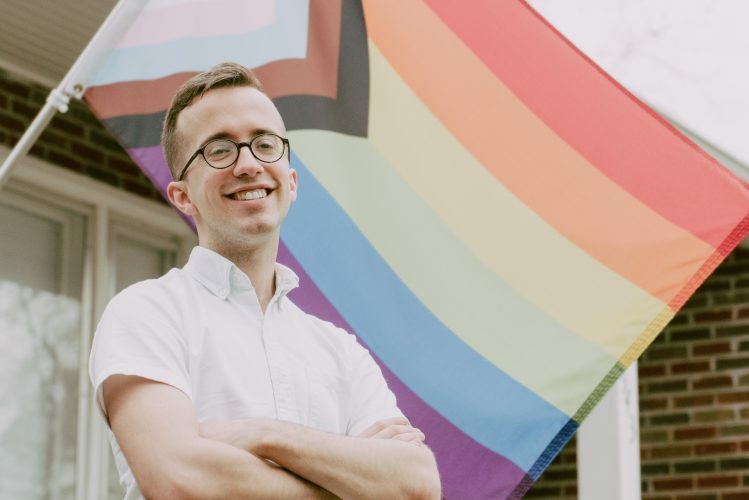 He said McLendon also informally integrated a whites-only campus dance — basically by just walking in, his black girlfriend with him. McLendon was KU’s first black physical education graduate. With Naismith’s help, he went on to earn a master’s degree at the University of Iowa. Naismith also helped McLendon get a job teaching and coaching basketball at Lawrence High, where he coached the black team, film director Willmott said. But even a black man coaching the black team was striking, Willmott said, because Naismith just as easily could have helped place a white student looking for a job instead. 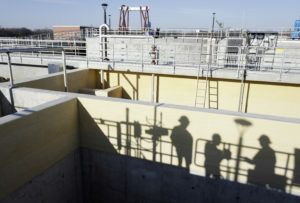 McLendon’s integration efforts continued through his career. McLendon’s first college coaching job was at historically black North Carolina Central University. His “revolutionary” style of play led to eight Colored Intercollegiate Athletic Association tournament or visitation titles, according to Katz. John McLendon and his Cleveland Pipers team. McLendon defied segregation laws of the time when, in 1944, his team played the all-white Duke University Medical School team in a matchup known as “the secret game,” the first integrated game in the south, according to Katz. After McLendon’s team won handily, he had men from each team switch sides and play in integrated groups to learn about one another. 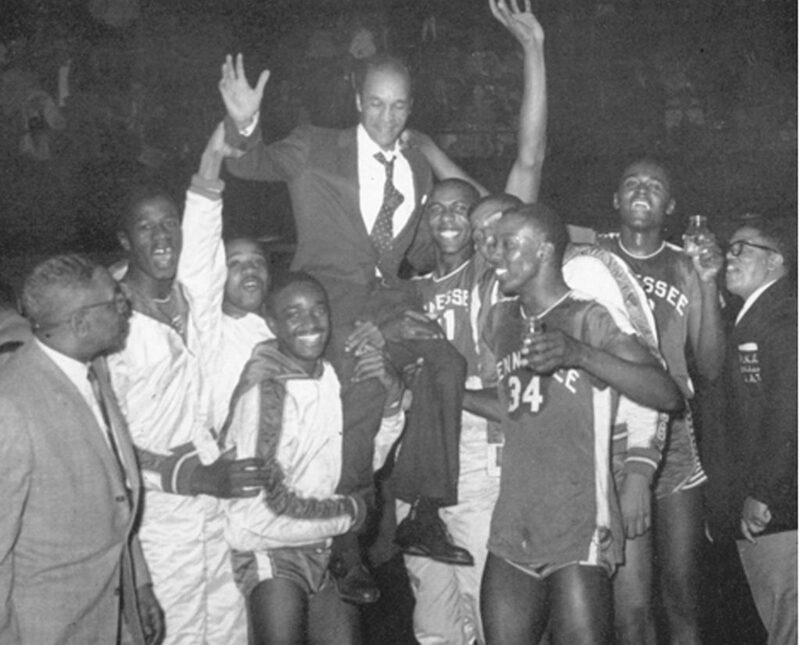 McLendon’s next coaching job was at Tennessee State University, where he led the first black college team to be invited to a national holiday tournament in Kansas City, Mo. — and won, Katz wrote. Three years later, his Tennessee team made history by becoming the first team to win three consecutive national championships, nabbing NAIA Tournament titles in 1957, 1958 and 1959. • To win an AAU championship, in 1961. 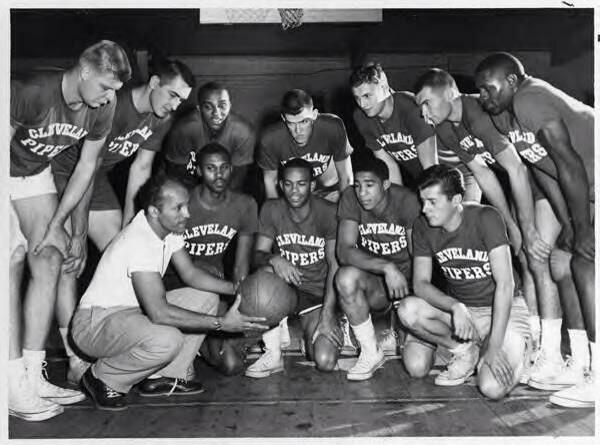 • In professional basketball, invited in 1959 to coach the Cleveland Pipers of the National Industrial Basketball League. • In the American Basketball Association, joining the Denver Rockets in 1969. • To compete internationally, leading a USA All-Star team to an 8-0 record against national teams in the Soviet Union in 1961. 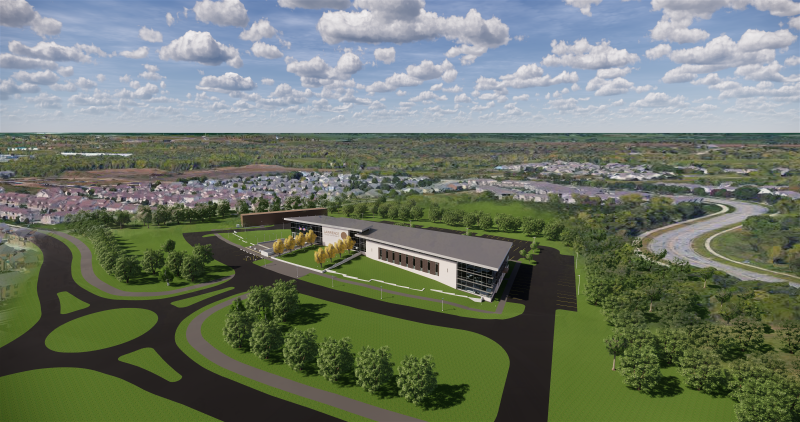 • To lead an integrated professional team, when the Cleveland Pipers joined the American Basketball League in 1961. • On the 1968 USA Olympic basketball staff, and the first African-American on the U.S. Olympic Committee. • At a predominantly white college, Cleveland State University, in 1966. • To be inducted as a contributor in the Naismith Memorial Basketball Hall of Fame, in 1979. McLendon was known for his players being in top physical condition, and he introduced innovations that are now basketball standards, Katz said, including the “fast break,” the “full court press” and the “two in the corner,” later made famous by late University of North Carolina coach Dean Smith. McLendon, however, was never bitter, Katz said. When he was inducted as a coach posthumously, it was without any kind of apology or unusual fanfare, just as McLendon would have wanted, Katz said. University of Kansas graduate John McLendon's photo appears on the KU Athletics Hall of Fame wall inside the Booth Family Hall of Athletics/Allen Fieldhouse on the KU campus. McLendon, who died in 1999, was inducted into the KU Athletics Hall of Fame in 2008. 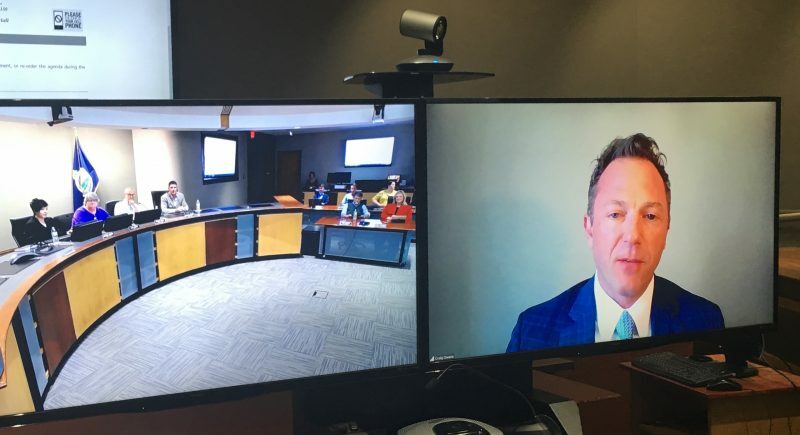 Producer Scott Unruh, owner of Broken Fence Film Ranch, collaborated with other KU alumni, of Rockhaven Films, in a process that involved interviewing about 60 people over three and a half years, he said. Early in that process, they took a camera to KU basketball fans waiting for Late Night in the Phog and asked whether they’d heard of McLendon. By the time the film came out — it was first screened on campus in fall 2016 — McLendon had secured a spot as a national hall of fame coach. The film includes footage of McLendon himself, from an old documentary, plus interviews with other coaches, players and sportswriters. Unruh said he was inspired to create the documentary because of Katz’s biography of McLendon and the coach’s obscurity despite his key role in modernizing the game of basketball. “Fast Break: The Legendary John McLendon” is set to air at 8:30 p.m. March 13, 16 and 18 on PBS television station KCPT in Kansas City, Mo. The film is a documentary on McLendon, the first black physical education graduate at the University of Kansas, where he was mentored by James Naismith. McLendon went on to coach basketball at the high school, college, professional and Olympic levels and was inducted into the Naismith Memorial Basketball Hall of Fame, as a contributor in 1979 and as a coach, posthumously, in 2016.